St.James Court resort is one of the star rated hotel, ideally located on the beach making an ideal destination for the travelers on holiday and business trips. 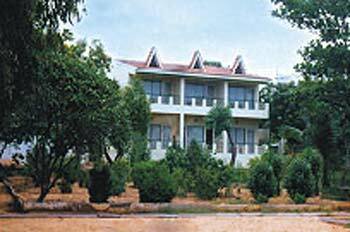 The resort is 135 km from Chennai airport and only 9 km from Pondicherry town. All rooms are beautifully appointed with attached bath, running hot & cold water, cable television, refrigerator, and direct dial facility. Hotel facility includes features like multi cuisine restaurant, bar, internet connection, swimming pool, children park, , money exchange, sight seeing, doctor on call, travel desk, laundry service etc. Hotel accepts major credit cards. Accommodation in a Super Deluxe Room. New Year Coupon which includes D.J nights.